Together, the group is charismatic, and often surprising. They don't sound like any other Chinese rappers who have come before them. 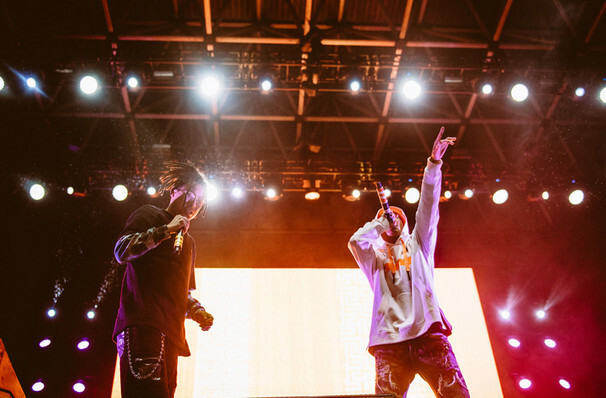 The tour comes just after the release of the group's sophomore album, 'Five Stars,' which features collabs from some of hip hop's finest including ScHoolboy Q, Soulja Boy, Ski Mask the Slump God. Hip Hop DX mentions how in the album, Higher Brothers "have notably improved their craft" yet "refuse to take themselves too seriously." Seen Higher Brothers? Loved it? Hated it? Sound good to you? 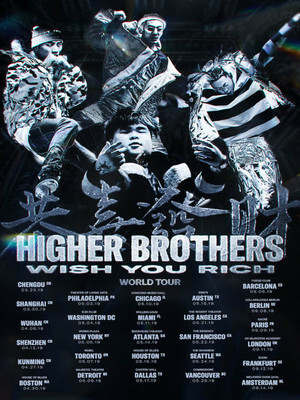 Share this page on social media and let your friends know about Higher Brothers at Rebel. Please note: All prices are listed in US Dollars (USD). The term Rebel and/or Higher Brothers as well as all associated graphics, logos, and/or other trademarks, tradenames or copyrights are the property of the Rebel and/or Higher Brothers and are used herein for factual descriptive purposes only. We are in no way associated with or authorized by the Rebel and/or Higher Brothers and neither that entity nor any of its affiliates have licensed or endorsed us to sell tickets, goods and or services in conjunction with their events.